We know you have been begging for yet another social network, and Microsoft is making what it hopes is the next big one. 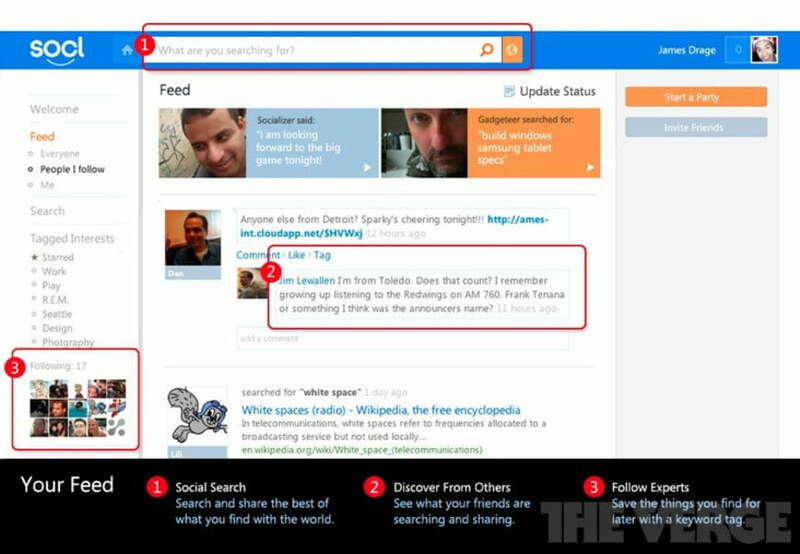 The Verge was able to get a hands-on demo of Microsoft’s social network that it is currently calling Socl. In an already very crowded social network market Socl will have to provide an improved user experience over existing services to be a success. Just looking at the pictures of the site it is hard to not be reminded of Facebook, and Google+. You see a bar across the top with a search feature, and three vertical columns on the body of the page. In the middle of the page is your news feed, and navigation options are on the left. The design of Socl isn’t going to win any creativity awards, but maybe Socl will be less about form and more about function. The right column is dedicated to “video parties”, which might be the key feature of the service. Unlike Google+ and Facebook video chatting “video parties” seem to be more about enjoying content with your friends. For example if you found an amazing viral video that you wanted to watch with your friends you could invite them to a party and watch it together. If done properly we think this feature alone might be worth trying out Socl. It also seems as though Socl is trying to be make social searching the focus of site. The site encourages you to ask your friends questions, it does this by making the default status update in the form of a question. This feature sounds like it might be a healthy combination of Quora and Facebook, asking a question you want an answer to, but asking your friends, and not the general public. Socl has a couple of features that have peaked our interest, but it is of course far too early to know just how much of an impact Socl can make. Officially it isn’t even clear if Socl will be launched, and if it is who knows if it will keep the current format. What are your thoughts?